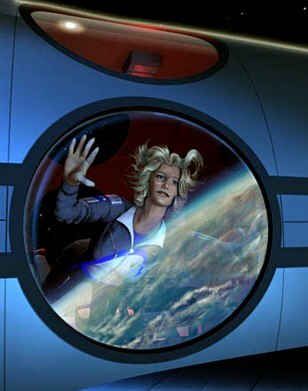 In an artist's conception, a space passenger looks out the window at Earth below. How big should the windows be? How do you keep them from being fogged up? How do you clean them if someone gets space-sick? Marketing experts are already focusing on such questions.